Today was a good day and now it's time to share some good tunes. Just got back from the first trip to the doctor since surgery and I get an A+! Everything looks good...cast off, boot on...and in just 4 weeks I should be joining the 2 legged creatures again. The incision looks pretty ugly and my poor calf is about half the normal size now, but it was nice to see my little foot again. It's still there! Now...it's back to work. Back to the living world. And I am sooooooo ready. Tomorrow I will be listening to the Outgoing October playlist from my desk and dashing around on my scooter again. It's time to be outgoing and out going. No more cabin fever! I hope you get a bit of escape from these tunes too. Happy October! 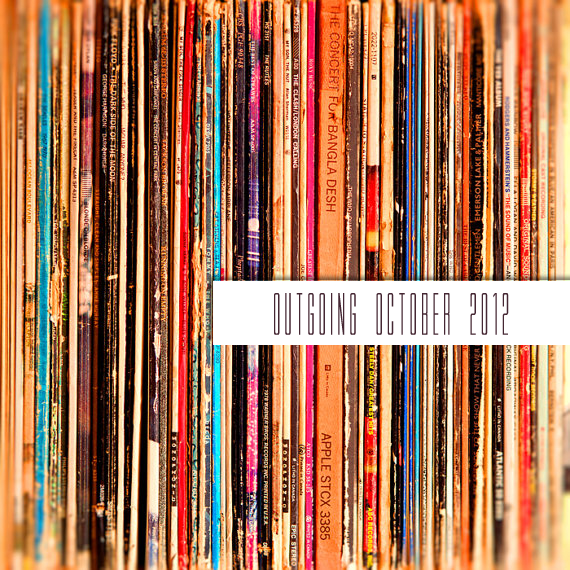 Outgoing October 2012 from joyful_life on 8tracks Radio.